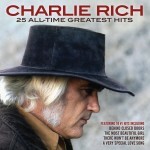 Varese’s 25-track set collects Charlie Rich’s biggest hits from his decade on the Epic label, including all nine of his 1970s chart-toppers, and nearly all of his Top 40s. It also threads into the track list the mid-60s recordings for RCA that the label issued as singles in the 1970s in a successful effort to ride the coattails of Epic’s success. These sides represent Rich’s biggest hits, including the landmark “Behind Closed Doors” and the across-the-board smash “The Most Beautiful Girl in the World.” Missing is 1975’s “It’s All Over Now” (#23 Country), some lesser charting sides and singles released in the 1970s by Mercury, Elektra and United Artists. 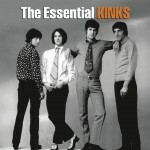 The Kinks touched so many musical bases that two full CDs (79 minutes each!) can still only outline their story. They blazed the British Invasion’s trail with “You Really Got Me” and “All Day and All of the Night,” and supplied a steady stream of ever-more finely-written hits into the early ’70s. In parallel with their singles success, the band’s vocalist and primary songwriter, Ray Davies, wrote compelling B-sides and sketched out thematic collections that turned into a string of inventive concept albums. Davies ruminated on British culture, society, working class life and schooling, show business and the record industry in ever-more ambitious and increasingly theatrical productions that couched his lyrical alienation in satire, nostalgia and music hall tradition. Banned from performing in the U.S. from 1965 until 1969, the band’s success on the American charts quickly faded. But elsewhere, particularly in their native Britain, they continued to land hit singles (including “Dead End Street,” “Waterloo Sunset,” “Death of a Clown” and “Autumn Almanac”), and their albums continued to attract critical praise. Although the band returned to the U.S. in 1969 to promote Arthur, “Autumn Almanac” signaled the start of a fallow commercial period, with a brief respite from 1968’s “Days.” At the same time, Davies was crafting what was to be among the Kinks’ most revered albums, The Kinks Are the Village Green Preservation Society. Though not a commercial success at the time of its release, Village Green has grown to be the group’s best selling album, and the album track “Picture Book” gained belated exposure in a 2004 HP commercial. By 1969 the group reestablished themselves commercially with the singles “Victoria,” “Lola” and “Apeman,” and the well-regarded albums Lola Versus Powerman and the Moneygoround Part One and Muswell Hillbillies. The latter represented their shift from Pye/Reprise to RCA, and unfortunately for the latter’s immediate commercial returns, Davies’ preoccupation with theatrical concept albums led to a string of early ’70s releases that failed to garner any singles action. On the other hand, the albums slowly rebuilt the group’s album sales in the U.S., and led to renewed chart action later in the decade. Davies finally moved on from writing rock operas (and the Kinks from RCA to Arista) with 1977’s Sleepwalker, and the group returned to the American charts with the album’s title track. Their next few albums found an audience with U.S. record buyers, and the band became a regular concert draw. The latter success was memorialized on 1980’s Top 20 One for the Road, and represented here by live versions of “Lola” and “Where Have All the Good Times Gone.” Two years later the group had their last major commercial success with State of Confusion and the single “Come Dancing.” The latter even broke through to MTV with a heavily spun video. The group’s remaining albums, through 1993’s Phobia, garnered less and less commercial attention, as did their singles, though they did continue to find a home on rock radio into the early ’90s. Starting with his ’68 Comeback Special, a reawakened Elvis conjured a remarkable late-career hot-streak that included 1969’s From Elvis in Memphis, the revitalized Vegas stage shows documented on That’s the Way It Is and On Stage, and a return to his country, blues, gospel and rockabilly roots on 1971’s Elvis Country. In January of 1973, Elvis stormed the airwaves with Aloha from Hawaii via Satellite, and soon after signed a new seven-year contract with RCA. In July and December of that year he booked himself into the legendary Stax studio on McLemore Avenue, adding to a string of Memphis studios that had been good luck charms: Elvis had launched his career at Sun, and revived his sense of self at Chip Moman’s American Sound in 1969. The July sessions produced ten masters, eight of which were released on 1973’s Raised on Rock, and two held back for 1974’s Good Times. Four were also issued as singles, with “Raised on Rock” climbing to #41 on the Hot 100, Tony Joe White’s “I’ve Got a Thing About You Baby” peaking at #4 country, and “Take Good Care of Her” making the Top 40 AC. All ten of the masters were solid, though by no means extraordinary. Elvis was in good voice, but neither the material nor the band assembled from road regulars and Memphis guests sparked anything really deep. Elvis connected well with bluesier material like “Just a Little Bit” and Leiber & Stoller’s “If You Don’t Come Back,” and gospel-tinged backing vocals add weight to a few ballads, but the sessions never lift off in the way of his earlier work at American Sound. Two tracks – “Girl of Mine” and “Sweet Angeline” – swapped in players from the Stax house band, including the MG’s rhythm section of Donald “Duck” Dunn and Al Jackson, but you’d barely know it from the final outcome. The December sessions were a great deal more productive, both in final output – 18 finished masters – and in musical vitality. The results were split across 1974’s Good Times and 1975’s Promised Land, further dissipating the sessions’ unity and squandering the marketing value of “Elvis at Stax.” But even with the inept marketing, the sessions turned out three Top 20 hits on each of the pop and country charts, and a country chart topping album in Promised Land. 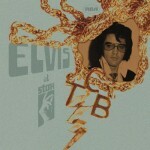 Elvis sounds much more deeply engaged than he had in July, and the material and arrangements are a great deal stronger. Highlights include a fiery take on Chuck Berry’s “Promised Land,” the strings, horns and deep bass of “If You Talk in Your Sleep,” the gospel-funk “I Got a Feelin’ in My Body,” Jerry Reed’s revival-charged “Talk About the Good Times,” and feeling covers of “Good Time Charlie’s Got the Blues” and “You Asked Me To.” Two ballads, “It’s Midnight” and “Loving Arms,” feature deeply touching, standout vocal performances. 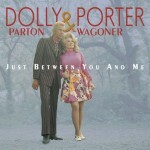 Beyond the twenty eight masters, this 3-CD set includes a generous helping of alternate takes and one unfinished track. All of this material has been released before, but scattered across a number of posthumous collections and expanded reissues. Augmented with bits of studio chatter, the outtakes give a more organic view of Elvis’ presence at Stax than did the dispersed master takes. What you’ll hear is an artist who’s really committed to most of the material, and though the master takes were chosen for their commercial viability, the alternates are filled with vitality. Unlike the many soundtrack sessions through which Elvis often sleepwalked, and despite the Stax sessions being the product of a contractual obligation, Elvis was ready to make great music of his own volition. Freed from the confines of Hill & Range’s catalog, Elvis drew from both longtime suppliers and contemporary songwriters, recording songs with which he felt a personal resonance. That personal resonance also applied to the assembled players, who were drawn from Elvis’ road band and key Memphis and Muscle Shoals players such as guitarist Reggie Young and bassist Norman Putnam. But the results weren’t as deeply impacted by Southern soul as were the earlier sessions at American Sound; Stax, it turned out, was more of a conveniently located venue than a sound with which Elvis wanted to engage. The label’s legendary musicians were barely involved in the July sessions, and not at all in December. By the time the later dates came around, even the Stax recording equipment had been swapped out in favor of RCA’s mobile unit, leaving the converted movie theater studio as Stax’s only real participation. Still, Elvis was home in Memphis, riding the crest of a remarkable career resurgence, and mostly (modulo the Colonel’s lingering machinations) in control. For most artists, a twenty-eight track collection of their biggest chart hits would be a fair representation of their commercial success. In Eddy Arnold’s case, twenty-eight #1 singles only very lightly skims the surface of nearly thirty-nine consecutive years of chart success that stretched from 1945 through 1983 (he struck out, though not without a few good swings, in 1958). 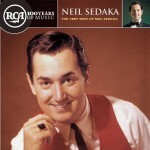 A singer of such renown inspires numerous reissues and collections, including hefty Bear Family boxes (1 2), but this is the first set to include his entire run of chart-toppers, from 1946’s “What is Life Without Love” through 1968’s “Then You Can Tell Me Goodbye.” Within that 25-year span, Arnold evolved from a twangy country star in the ’40s to a Nashville Sound innovator and resurgent chart-topper in the mid-60s. Arnold was always more of a crooner than a honky-tonker, and even when singing upbeat tunes like “A Full Time Job,” you can hear pop stylings edging into his held notes. 1953’s “I Really Don’t Want to Know” drops the fiddle and steel, and is sung in a folk style to acoustic guitar, bass and male backing vocals. 1955’s “Cattle Call” finds Arnold yodeling a remake of Tex Owens’ 1934 tune, a song he’d recorded previously in 1944. The new version featured orchestrations by Hugo Winterhalter and signaled crossover intentions that would come to full fruition a full decade later. Arnold’s chart success dimmed in the face of rock ‘n’ roll’s rise, but by 1960 he’d regained a foothold, and by mid-decade he’d transitioned fully to countrypolitan arrangements. Legacy’s two-disc Essential collection is actually a re-branded reissue of the 1998 Hits release, reiterating the same 35-track lineup and including Ben Fong-Torres original liner notes. If you pop these discs in your computer’s CD drive, you’re even likely to have the cover image of Hits pulled up by your media player. The set remains a good overview of “the band that transformed with the times,” from Jefferson Airplane’s scene-leading San Francisco Sound recordings of the mid-to-late ‘60s, through Jefferson Starship’s inheritance and evolution, and the Kantner-less Starship’s full-face turn to radio-friendly pop. The musical, social and commercial distance traveled from the Airplane’s earthy psychedelic jams to the Starship’s synth-laden ballads is itself a monument to adaptability. The seventeen Airplane selections cover all seven of the band’s first run albums (nothing from their 1989 self-titled reunion is included), along with the single-only “Have You Seen the Saucers.” A few of their lower charting singles are absent, but other than “Somebody to Love” and “White Rabbit,” the Airplane was never a Top 40 success, and so the additional album tracks are more telling. Missing are tracks with early Airplane vocalist Signe Anderson singing lead, and even more noticeable is the lack of live material. Performance was an essential element of the San Francisco scene, and no telling of the Airplane’s story is truly complete without the stage interplay of vocalists and instrumentalists. Follow-on purchases of 30 Seconds Over Winterland, Bless Its Pointed Little Head or the more recent 6-CD anthology of vintage tapes can fill that gap. Though the Jefferson Starship name was employed for Kantner’s 1970 sci-fi concept album, Blows Against the Empire, a steady band wasn’t formed until four years later for 1974’s Dragon Fly. This set skips the former album and picks up with two songs (“Caroline” and “Ride the Tiger”) from the latter. Though Dragon Fly went gold (and hit #11 on the album chart), it was the group’s next release, Red Octopus, that marked their real commercial breakthrough. Topping the album chart, the album spun off the Top 5 single “Miracles” and introduced a band who would have a ten year run in the Top 40. 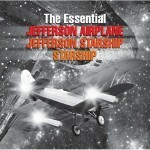 Most of Jefferson Starship’s biggest hits are included here, missing only their Top 20 “Winds of Change.” All eight of the group’s first run studio albums are sampled here; their two reunion releases (1998’s Windows of Heaven and 2008’s Jefferson’s Tree of Liberty) are skipped. 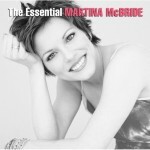 Martina McBride’s first two-disc collection (complementing earlier single-disc anthologies, Greatest Hits, Playlist and Hits and More) covers a lot of ground: nineteen years of recording, nine studio albums, twenty-nine Top 40 country hits (including five chart-toppers), nineteen crossover Top-100 pop hits, and numerous duets and tribute appearances. But even with such impressive statistics, there’s essential material missing, including ten charting sides, six of which were Top 40s and one (“There You Are” from 2000’s Emotion) was Top 10. Her climb to stardom is abbreviated by the omission of singles from her early albums, particularly three sides from Wild Angels (“Phones Are Ringin’ All Over Town,” “Swingin’ Doors” and “Cry on the Shoulder of the Road”) that propelled McBride and Nashville into a much wider circle of fans. That said, what’s here paints a fair picture of how easily her music straddled tradition, modernity and pop. Like others of her mid-90s class (which also included Trisha Yearwood, Faith Hill and Patty Loveless), McBride benefited from both a canny producer (Paul Worley, in her case) and a renaissance of quality Nashville songwriting. Early on she sang hits penned by Kostas (“Life #9”), Gretchen Peters (“My Baby Loves Me”), Matraca Berg (“Wild Angels” and “Still Holding On”), Paul Kennerley (“Heart Trouble”) and Pat Bunch (“Safe in the Arms of Love”), threading a theme of empowerment through hits and album tracks like “Independence Day,” “A Broken Wing” and “This One’s for the Girls.” As Nashville crossed into the mainstream, so did some of McBride’s material and chart success; in addition to solo hits she found resonance with Jim Brickman (“Valentine”), Bob Seger (“Chances Are”) and Alan Jackson (“Louisiana Woman, Mississippi Man”). McBride’s stage singing (heard here in “Over the Rainbow,” drawn from 2003’s Martina) shows that her power, accuracy and emotion aren’t tied to the studio.